Announcements New GK Icon gloves now available! New GK Icon gloves now available! 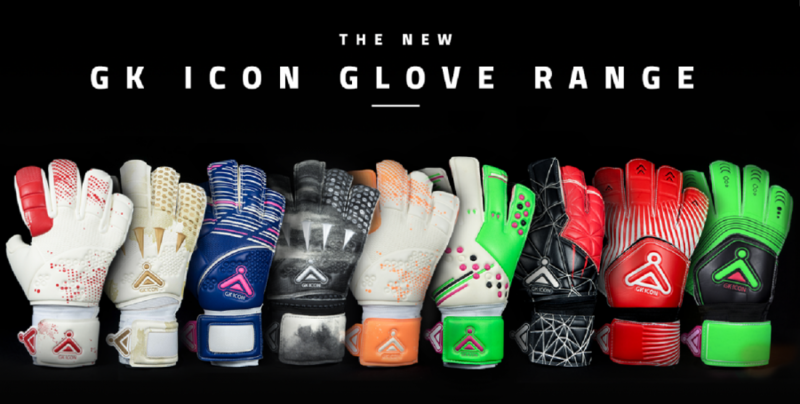 The new GK Icon glove range is now available! Challenger’s GK Icon is the fastest growing goalkeeper franchise in the UK. GK Icon franchises have now opened in the US and they are an official partner of our residential goalkeeper and field player camp – SoccerPlus! The impressive range of GK Icon gloves have just been delivered to our warehouse and are ready to ship! Our GK Icon gloves have been meticulously designed and engineered to provide goalkeepers of all ages and abilities with the ultimate in goalkeeping. From superior comfort and innovative technologies we have it all under affordable prices across a number of styles. Goalkeeping training sessions with GK Icon will be different from anything you’ve done before, we promise that you will be left feeling more powerful and confident in your game than ever before. Each of our GK Icon goalkeeper coaches are armed with a wide variety of drills and exercises that are designed to bring players out of their comfort zone and ultimately help them improve in all areas of their development. GK Icon run a number of different programs for children aged 8 – 18; both inside and outside of schools and during term-time and schools holidays. GK Icon raises the standard for goalkeeper coaching and with our innovative approach to development, is the perfect choice for young goalkeepers who are looking to take their game to the next level. Welcome to GK Icon – now go check out our gloves!! Interested in a GK Icon Franchise – contact us now!